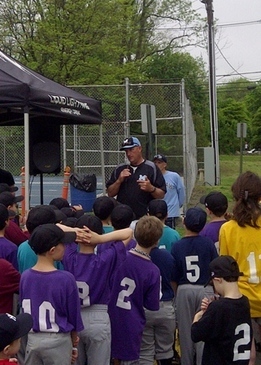 All Mahwah residents of elementary school age or high school age are welcome to play in the Mahwah Youth Baseball Day Wiffle Ball Tournament. Teams can be made up boys, girls or mixed. The first game will start at 12 p.m.. The championship game will be completed by 3 p.m. The cost is $7 dollar per player. 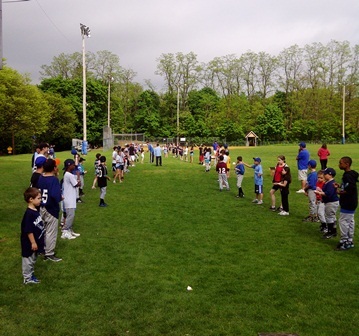 Each team will consist of three (3) players: a pitcher, catcher and outfielder. The following grades will be in the same brackets and can play each other. You can have any age player on your team as long as you're in the same age bracket 1, 2 ,3 or 4. For example, 5th and 6th graders can play on the same team, or a team can consist of all 5th graders or all 6th graders on one team of three players. Each game will be three (3) innings. Each age bracket will play a championship game. 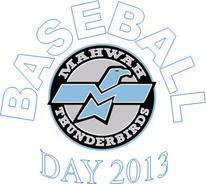 Interested in Sponsoring Mahwah Baseball and Softball Day ?